Dustin Payne was born into a rodeo and ranching family in southern New Mexico in 1981. Growing up as a third-generation sculptor in his family, he began learning the trade at an early age. Endless inspiration came out of studying the great works of Remington and Russell, and he was influenced by the books and drawings of Will James. 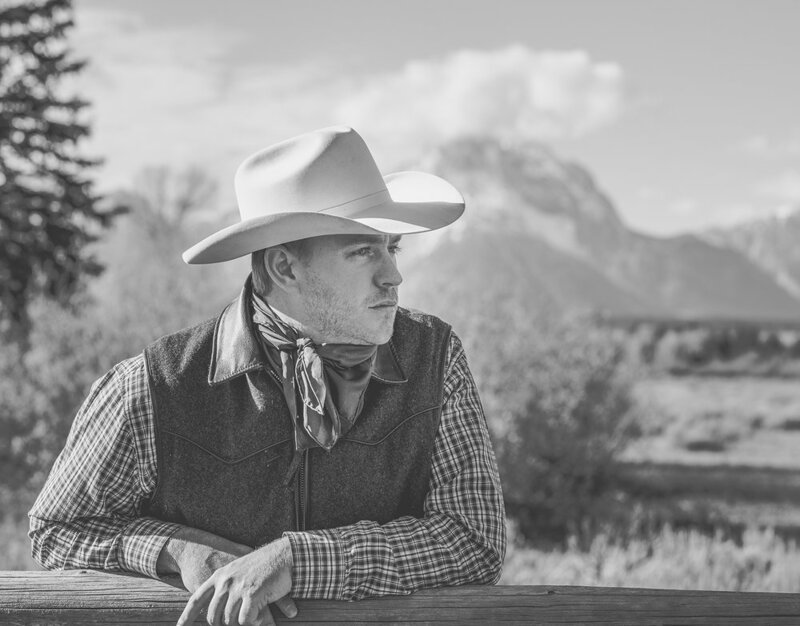 Being close to his family’s ranch, as a young man he experienced first-hand the traditions of the Western way of life. Here Dustin came to know the skills of roping, riding, and working with cattle. The strength and character of the old cowboys and ranchers created inspiration for him to carry on the spirit, respect, and tradition of their way of life. Dustin began expressing his deep love for the history and culture of the American West through his own artwork. He later headed north and settled in Wyoming, enjoying the open vastness of the Northern mountains, visiting the nearby Buffalo Bill Center of the West for inspiration, and fulfilling his ambition with memorable stories of the western characters in his sculptures. Dustin’s work can be found in fine art galleries across the West, as well as in the permanent collections of the Pearce Museum, the Raymond James Financial Art Collection, and the Former Texas Rangers Heritage Center. Dustin has been featured in numerous publications including Southwest Art, Art of the West, Western Art Collector, Fine Art Connoisseur, and Western Horseman, and was a featured artist-in-residence at the 2017 Western American Sculpture Symposium at the Whitney Western Art Museum in the Buffalo Bill Center of the West. In 2017, he earned an invitation to be inducted into the renowned Cowboy Artists of America and is planning to pay tribute to the time-honored organization’s values, moving forward in his career as one of their newest members.